TELEMETRY SYSTEM - Indexel Engineering Pvt. 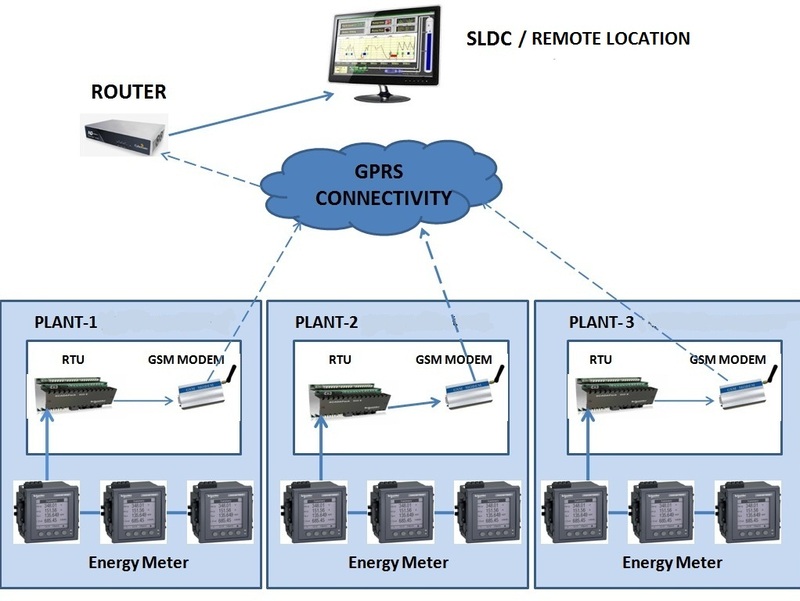 Ltd.
Telemetry is defined as the sensing and measuring of information at some remote location and then transmitting that information to a central or host location. There, it can be monitored and used to control a process at the remote site. The basic concept of telemetry has been in existence for centuries. Various mediums or methods of transmitting data from one site to another have been used. Data radio provides a wireless method for transmitting the information. Telemetry using radio waves or wireless offers several distinct advantages over other transmission methods. No transmission lines to be cut or broken. Ease of use in remote areas where it is not practical or possible to use wire or coaxial cables . Functional over a wide range of operating conditions. The purpose of a Telemetry system is to collect data at a place that is remote or inconvenient and to relay the data to a point where the data may be evaluated. This process can be achieved via wire-line or wireless links. Telemetry has the advantage of reducing the cost of manually reading, checking and controlling remote devices. When telemetry applications use wireless technology, additional benefits accrue. The use of wireless technology enables systems to be located virtually anywhere without depending on the telephone company for line installation. We always offer innovative solutions adapted to Clients’ specific needs. So, now we are offering advance “Serial GPRS” solution for Automation solutions. We have been involved in several automation industries in India and abroad. Our mission is to grow consistently using the best Public communication infrastructure for private industrial communication. We want to nourish automation industry in retrofitting a traditional serial Cable communication system to a more advance GPRS platform, by incorporating a public communication network for private industrial communication. Auto re-connection mechanism designed for mission critical applications. Modem dose not requires external AT commands. Communication on IEC Protocol 101 and IEC Protocol 104. Full Transparent Serial Data Transmission i.e. Protocol independent. Accept SIM card with dynamic IP or static IP by any service provider with a wide range of operating voltage.